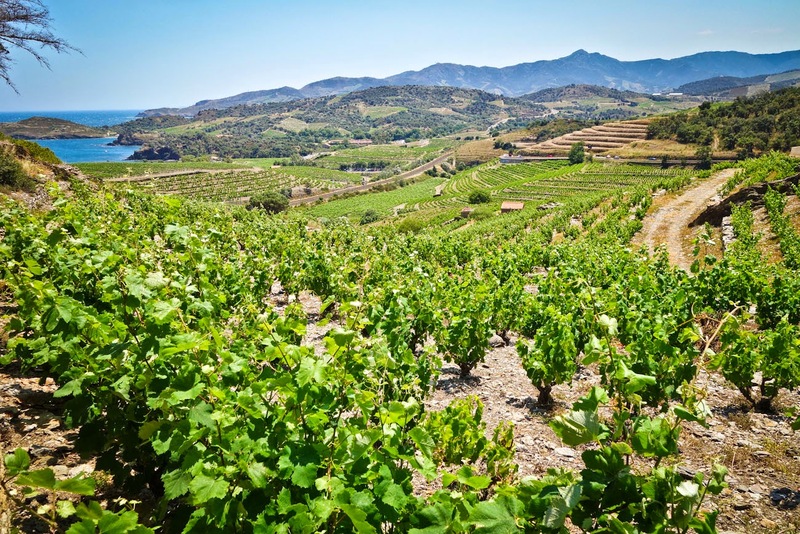 Languedoc-Roussillon is a large and diverse wine region in the south of France, covering an area that stretches from Nimes and Montpellier in the east, around the Gulf of Lyon to the Spanish border. About a quarter of all the wine-producing vines in France are located in Languedoc-Roussillon. 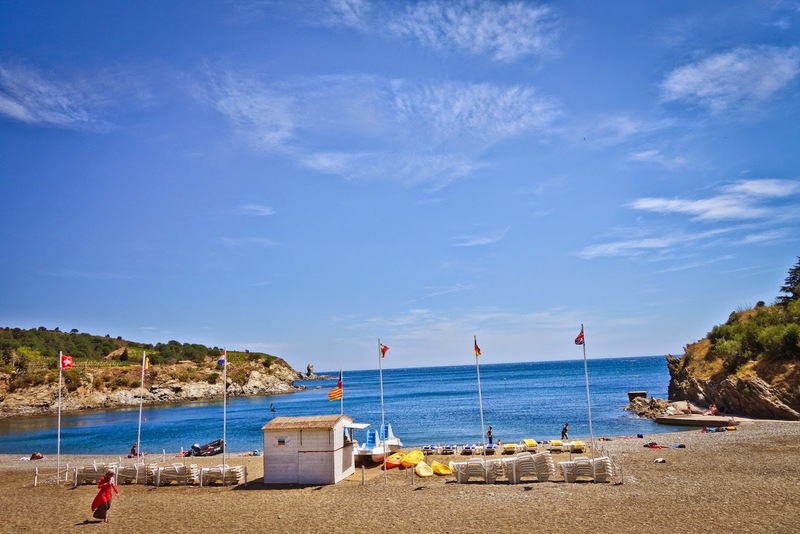 While on a recent trip to Collioure, we tasted wines from the AOC's (Appellation d'Origine Contrôlée) Collioure and Banyuls in the Roussillon (although Languedoc and Roussillon are associated together, they are two seperate regions). Before we get into the tasting, its important and interesting to note three technical characteristics of this AOC. Most vines that you may come across lean against a trellis, actual stakes, posts or wires (or other structures/systems of support) that the grape vines are attached to. Because the vines in both Collioure and Banyuls grow in an extremely hot/dry climate and non-fertile soil, the vines are not against a trellis, and are allowed to grow free standing without any attachment to a trellising structure. This method of growing reduces evaporation of water from the fruit and foliage. 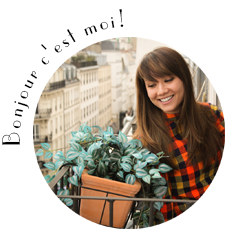 This method is called, "Gobelet" literally translating to 'goblet' and is one of the most ancient methods of vine training. The trunk of the vine is kept short at about 0.5m, and it is crowned by a gnarled lump of old wood. Vines trained in this manner, referred to as 'head training', essentially resemble a small bush or shrub, and they may be described by some as 'bush vines' (see photo above). For both Collioure and Banyuls, vineyards are planted on steep rolling hills that make up the base of the Pyrennees mountains. The steep hillside is made up of schist rock terraces (overlooking the sea). The vines are constantly exposed to 5 different types of fierce and wily winds. One of the strongest of the group is known as the “Tramontane". These constant winds do not only ensure naturally low yields, but they also keep the grapes free of mildew with little need for pesticides or copper sulfate. The vineyards are so steep that cultivation must be done by hand! Extensive irrigation canals and walls (all made from the schist rock) are their only prevention against soil erosion, although there is almost no soil left to recede. These canals snake down the hillsides, separating the parcels. At harvest, the grapes are carried up and down the mountain in baskets. This method of farming, while extremely challenging, preserves ancient traditions of their ancestors (BUT imagine how difficult and backbreaking that would be!). 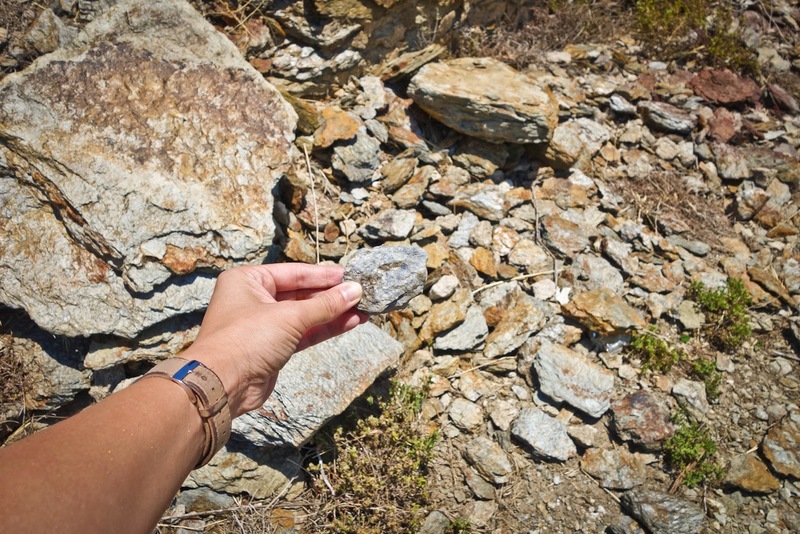 The "soil" or a more accurate word, "terroir" of these two AOC's, is made up of a type of rock called Schist. Schist is a medium-grade metamorphic rock composed of minerals derived mostly from clay. Schist is also what we know as "slate". The laminated, crystalline rock based soil retains heat well and is rich in magnesium and potassium but is poor in organic nutrients and nitrogens. Schist! Look at all that Schist! Banyuls on the left and Collioure on the right! Sweet vs dry! All a winner in my book. We spent the morning tasting at the Domaine de La Rectorie with the wine producer/owner, Thierry Parce. 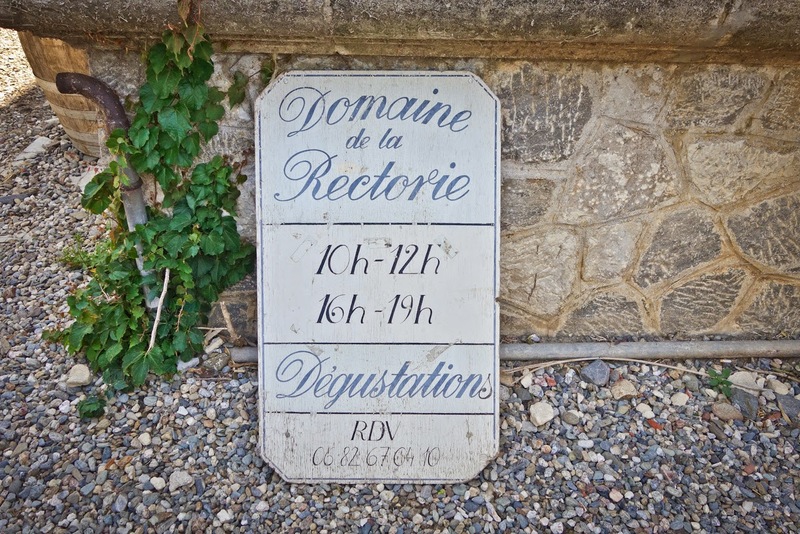 Thierry and his brother Marc founded the Domaine de la Rectorie in 1984 , after having retired from the cooperative cellar. 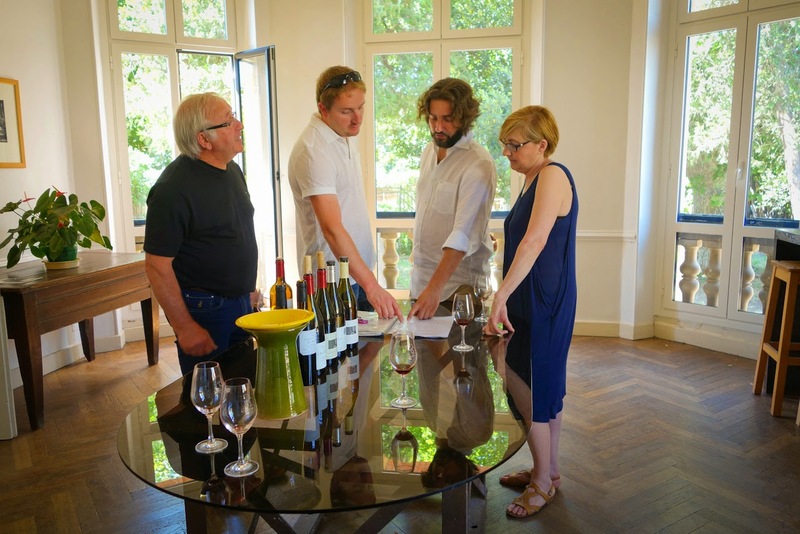 Today the estate is managed by Thierry and his son Jean Emmanuel. The domain's name is linked to the history of the Romanesque chapel, the Rectorie, located in Banyuls-sur-Mer. The vines are mainly Grenache (in its three colors), along with Carignan , Syrah and Mourvèdre. Nothing like 9 bottles of tasting at 10:00 am! Monsieur Parce was extremely hospitable and informative! 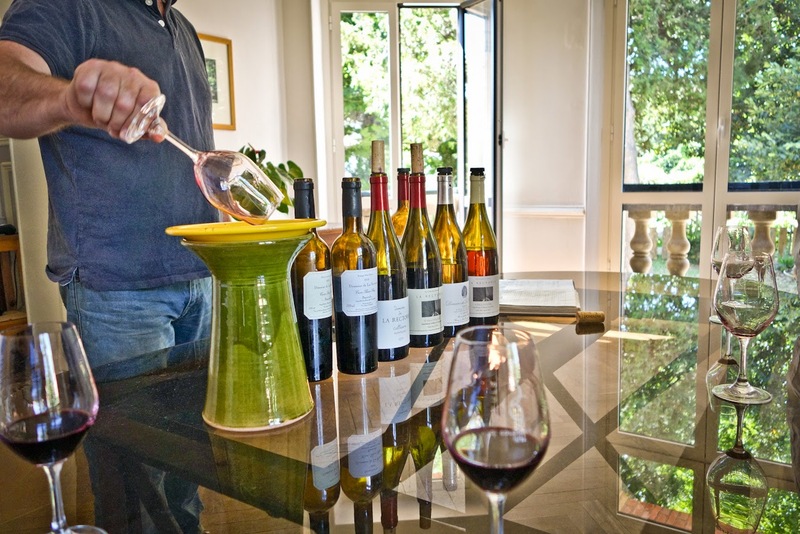 Domaine de La Rectorie produces wines from both the AOC of Collioure and Banyuls. Although produced from the same estate, the these two AOC's could not taste any more different. The Banyuls and Banyuls Grand Cru designations are sweet wines (made using mutage, the addition of neutral wine alcohol to the must after pressing, in order to stop the fermentation and thus conserve part of the natural grape sugar), while the Collioure designation are dry wines. Banyuls wine pairs well with chocolate, but it can also be useful when pairing desserts that contain berries, toffee and caramel, and coffee. If you want to pair Banyuls wine with a savory dish, duck is a great option. 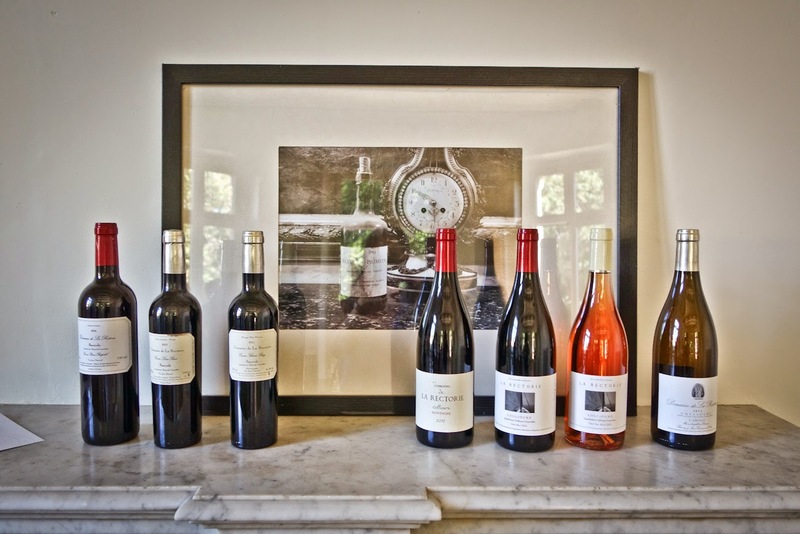 The Domaine de la Rectorie hours are from 10am-12pm and 4pm-7pm (reservations to taste are recommended). Another great Domaine in the area is Coume del Mas. After a morning of wine tasting it was time to get something in our bellies. 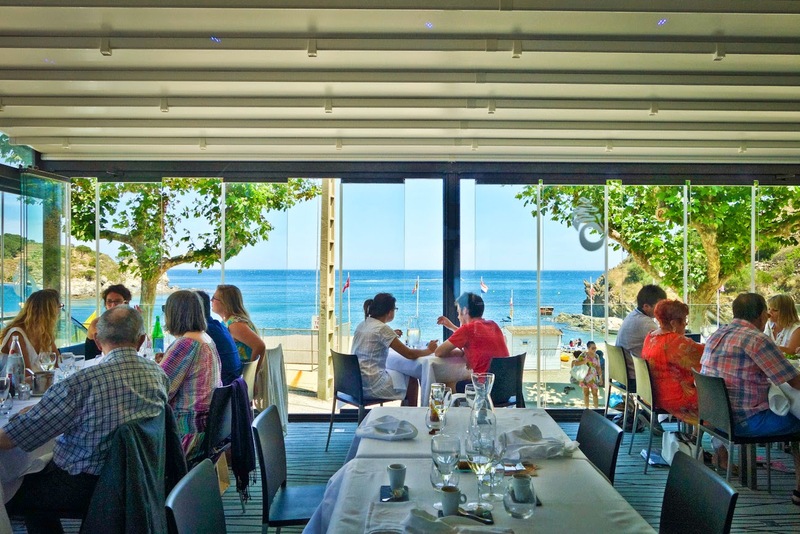 We went to a wonderful sea side restaurant which overlooks Plage des Elmes, in Banyuls-sur-Mer called La-littorine. 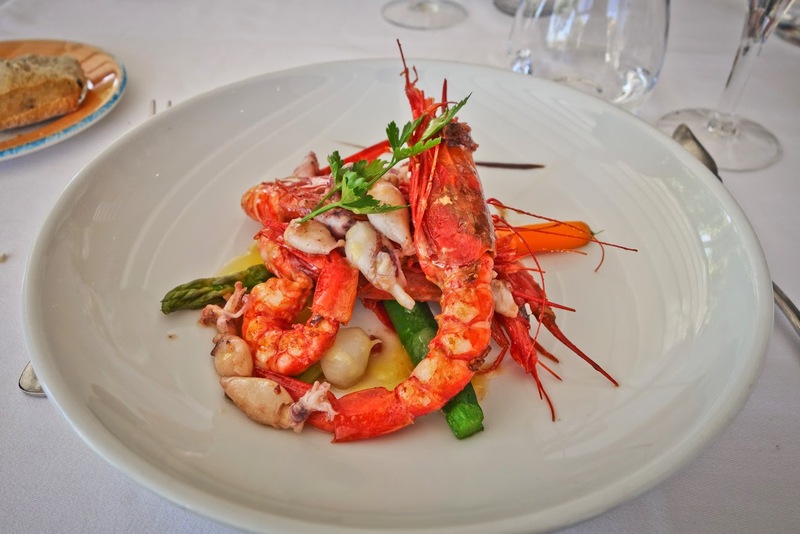 La-littorine serves amazing sea food against an incredible setting. Of course it also offers a wine list with local Collioure and Banyuls wines including la Rectorie. Bon Appétit et santé!